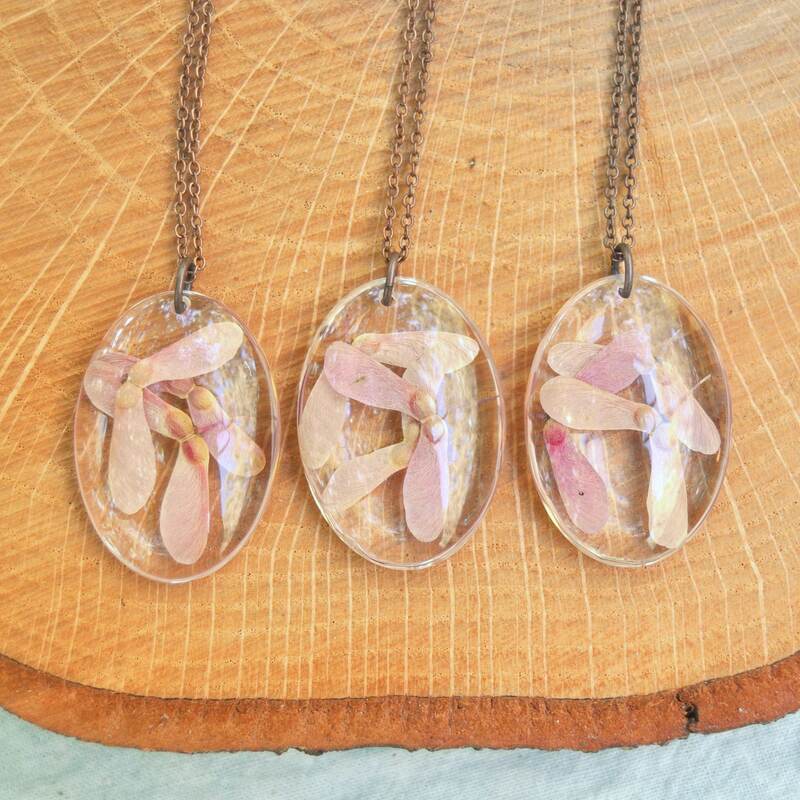 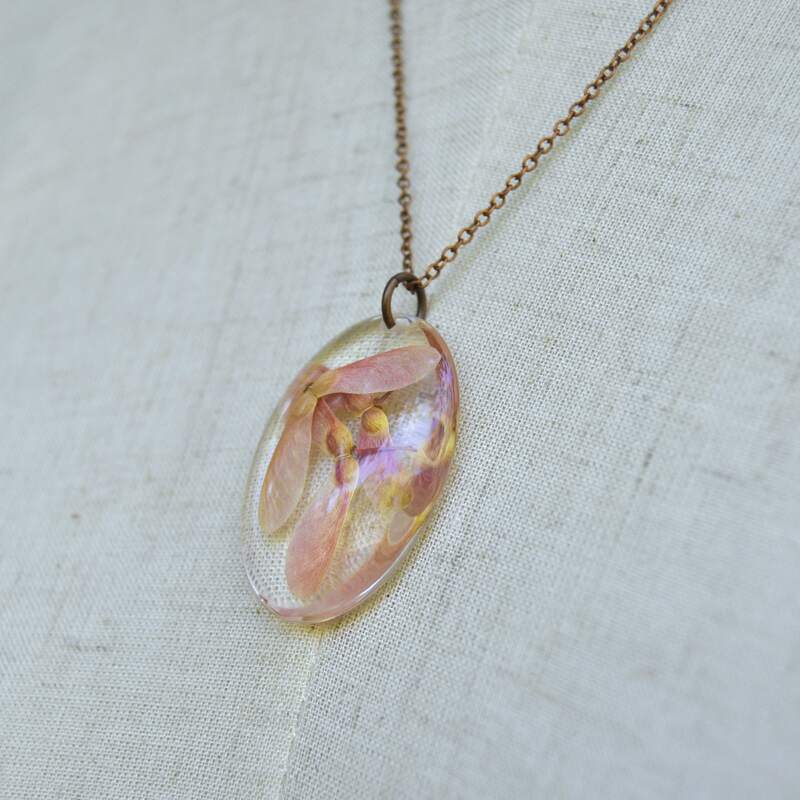 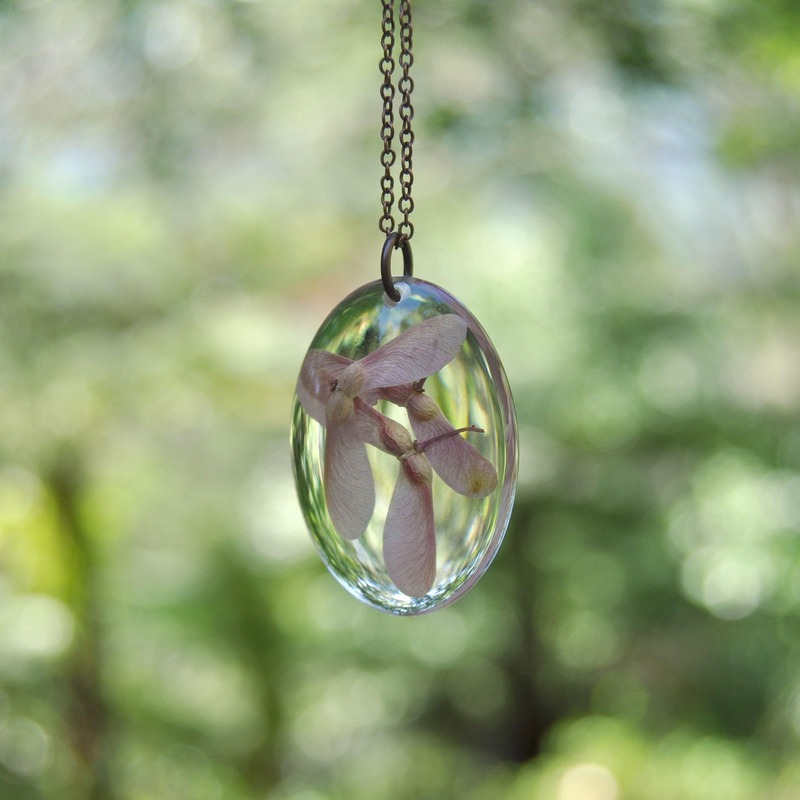 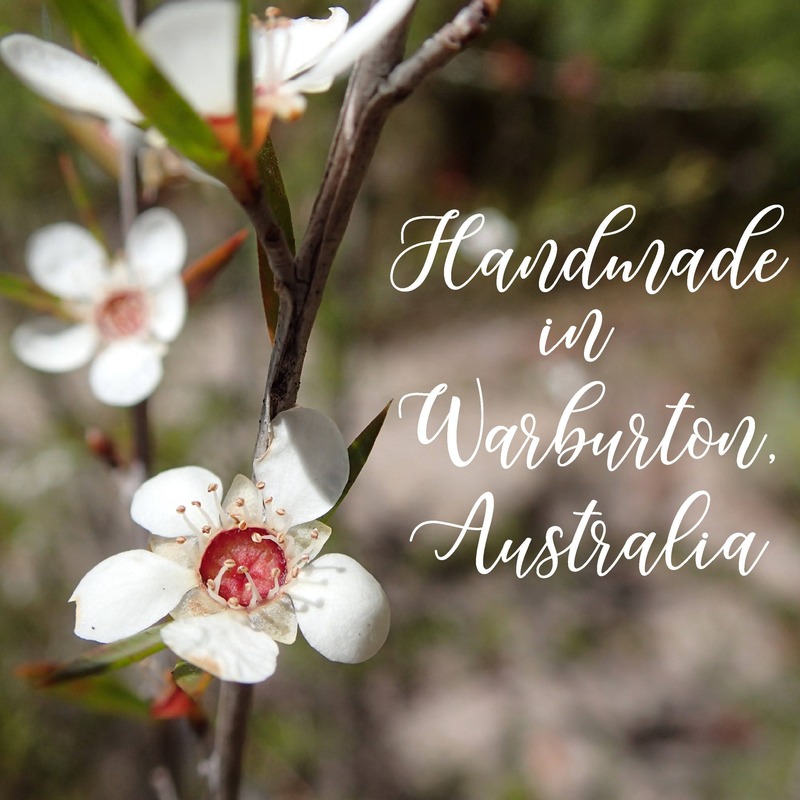 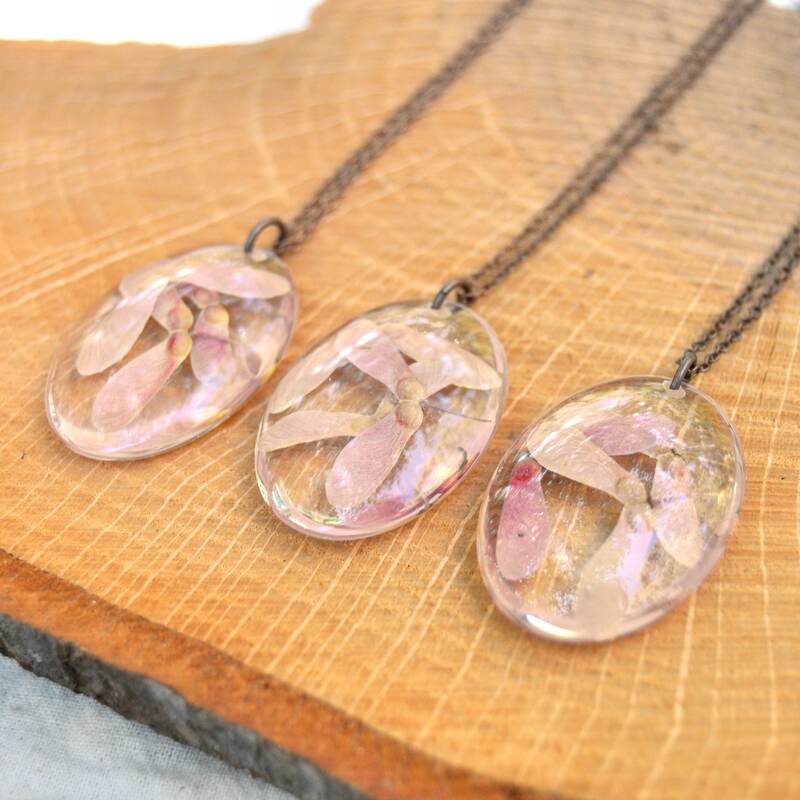 These little oval shaped pendants are made with genuine pink and beige Japanese Maple seeds, carefully set in clear resin. 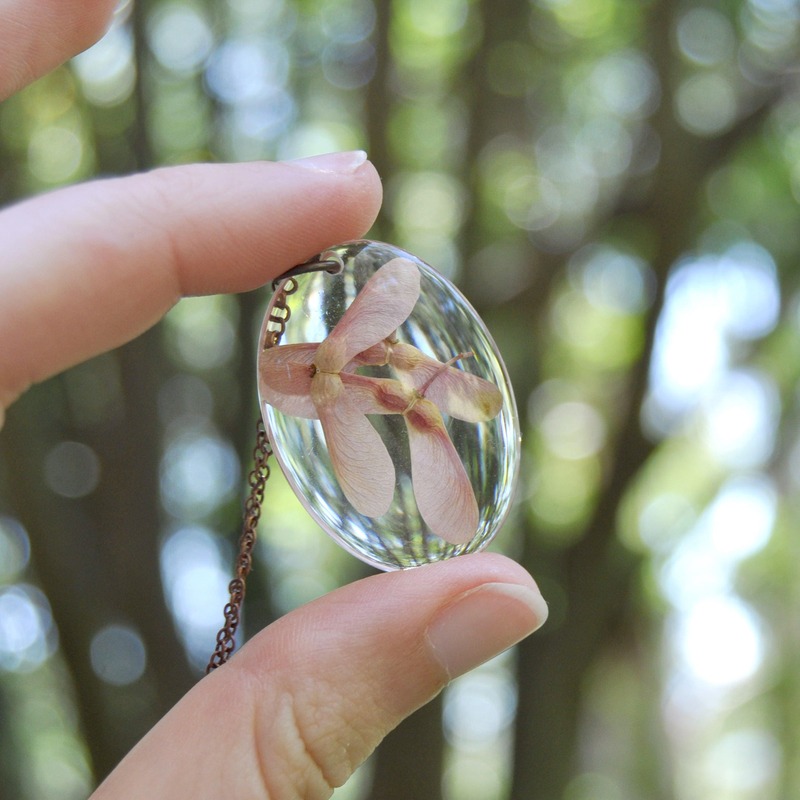 Japanese maples are a symbol of grace, peace and serenity, so this necklace could serve as a pretty reminder of these qualities. 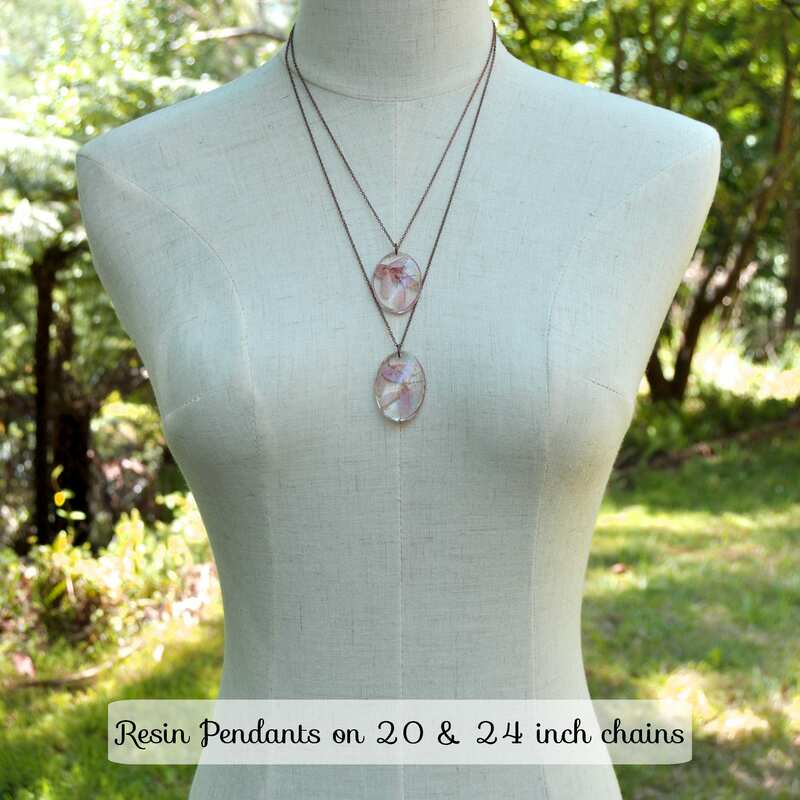 Necklaces come strung on an antiqued copper chain in a length of your choice (please choose from the menu). 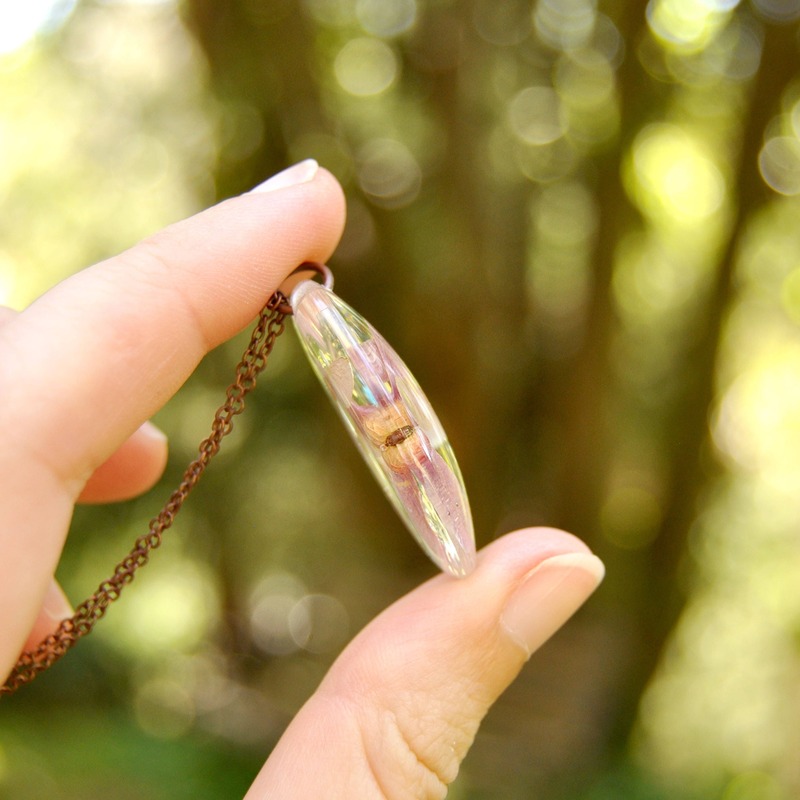 You will receive one necklace, exactly as per the item photos.